Alternate Names: Clever, Ganz schön clever, Très futé ! The dice you don't use are as important as what you do because every die that's smaller than the chosen one can be used by the other players, keeping everyone in the game at all times. 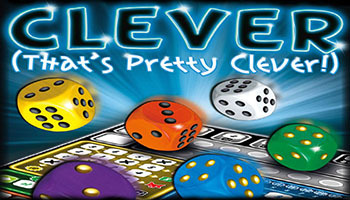 By skillfully using the dice in the five colored areas, the players try to score as many points as possible on their own game sheet. The dice should be cleverly chosen in order to have sufficient options for subsequent rolls. It is also important to pay attention to the rolls of the other players. If you have the most points after a certain number of turns you win.